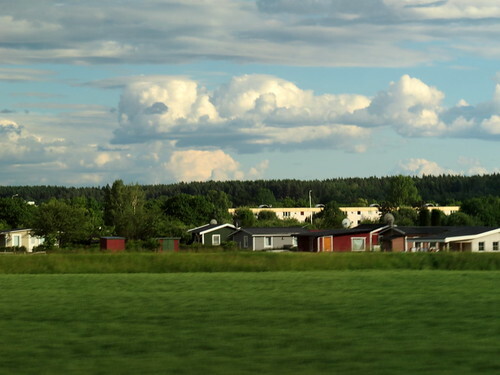 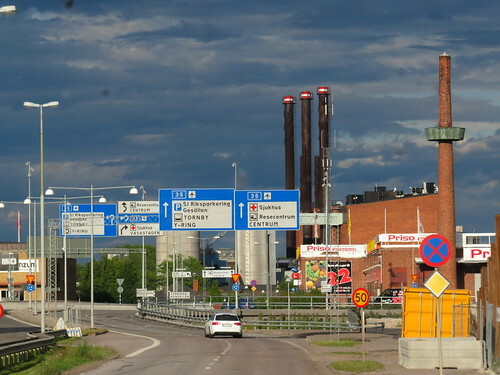 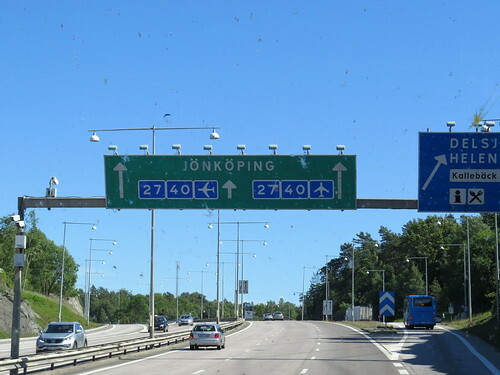 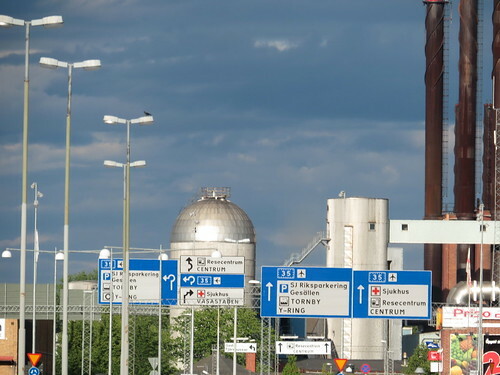 It was to be a 4-hour bus ride to get to Linkoping (by the way, the latter is pronounced lin-show-ping and the “shoping” is similar to the modern English “shopping”…there were markets which then grew into these towns/cities .) 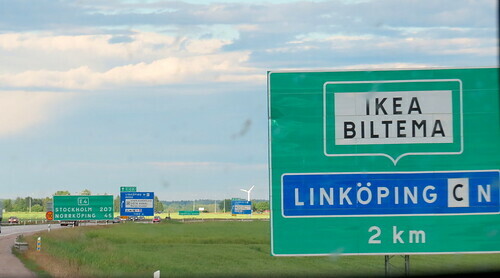 Linkoping, the wiki entry tells me, was founded in 1287! 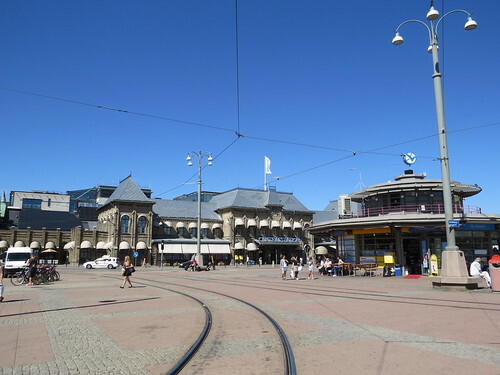 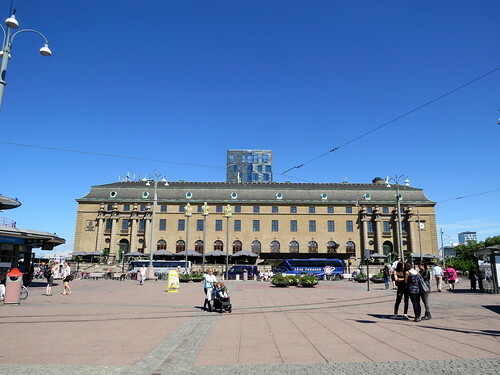 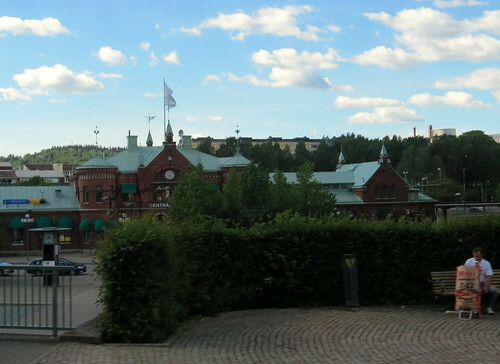 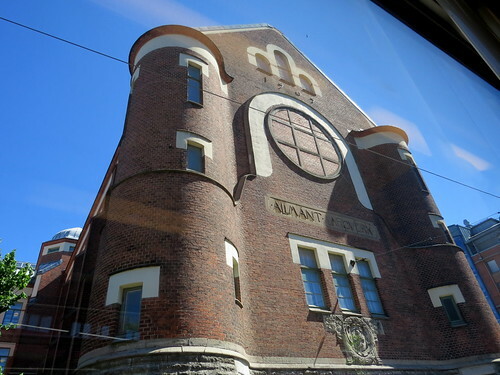 As we took the tram through Goteborg, to the central bus/train station, I saw some buildings. 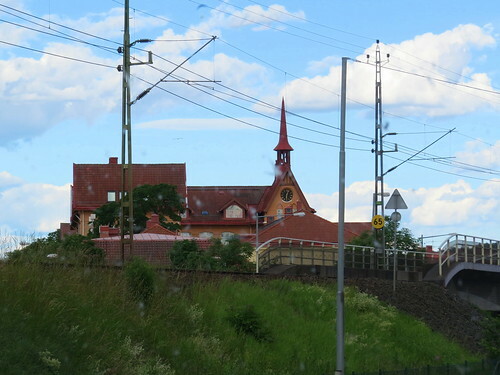 An ancient church, probably..the solidity of those buildings! 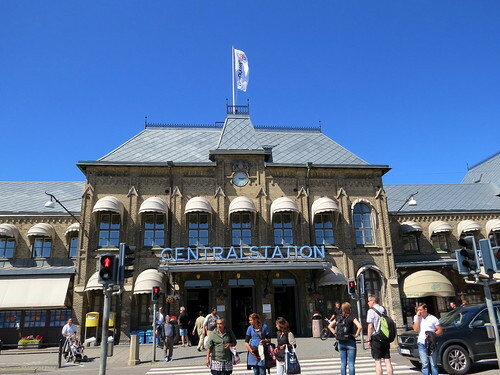 We approached the Central Station: It was a picture-postcard! 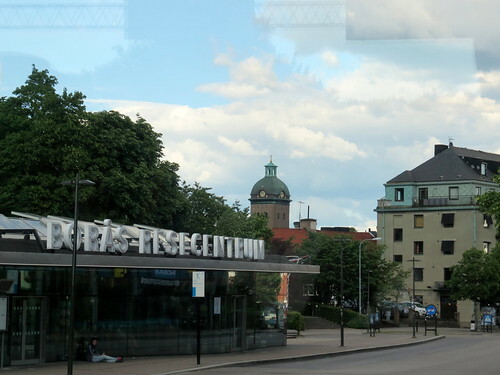 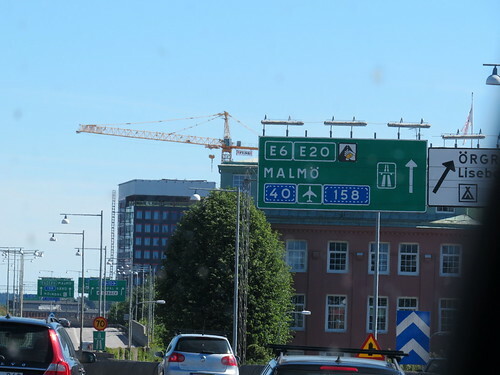 Nearby was an hotel: As my bus left Goteborg, I didn't know what this more modern tower was: Signs helped me know where we were headed: A town that we passed: Lovely to see the modern bus shelter and the ancient copper-covered cupola! 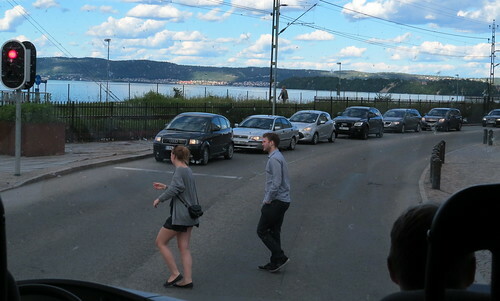 I realized that the Bus Gods must be appeased: This was in Jonkoping: Contrary to everything I'd heard, cars began to pile up (I counted more than forty in line!) 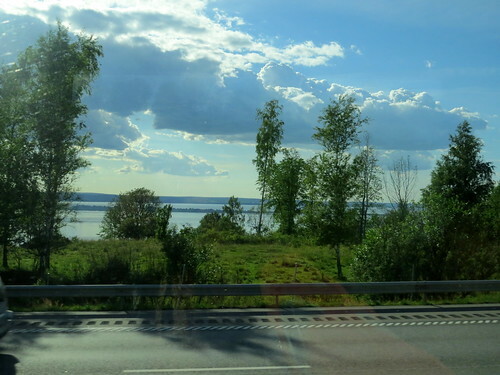 at this traffic signal: We were travelling along the large Lake Vattern. 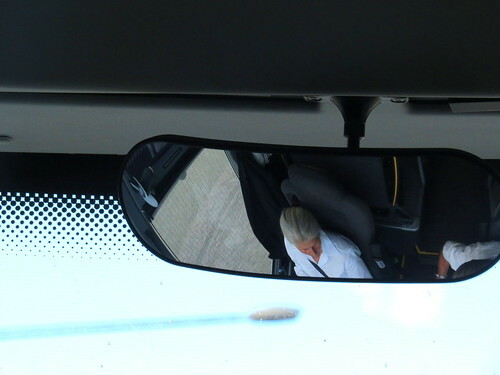 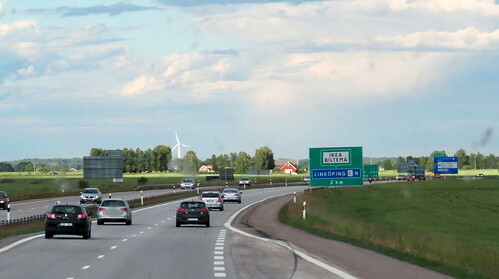 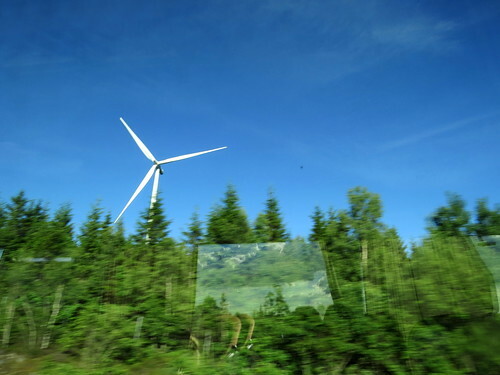 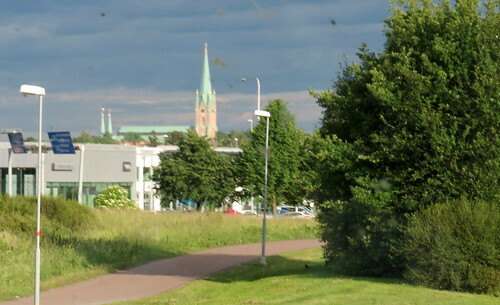 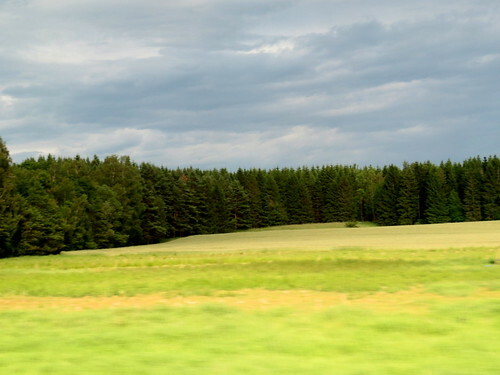 Another beautiful spire: Our drivers were Mike, and Pia, reflected here: I saw windmills but didn't tilt at them: Beautiful meadows sped past: We arrived in Linkoping: Ikea! 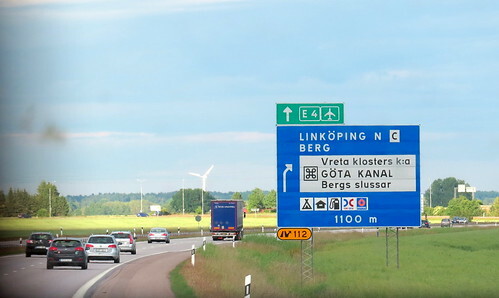 I've always wanted to visit this place IN Sweden (I've visited in several other countries and cities). 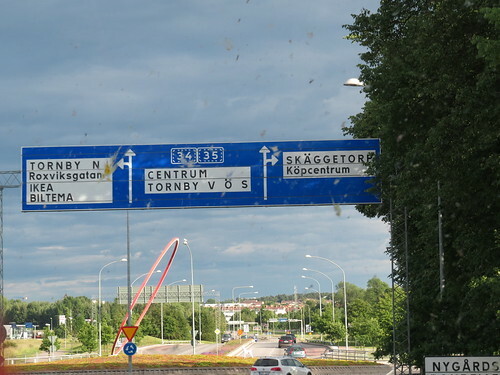 I was hoping to see the Gota Canal, but I only saw the sign. 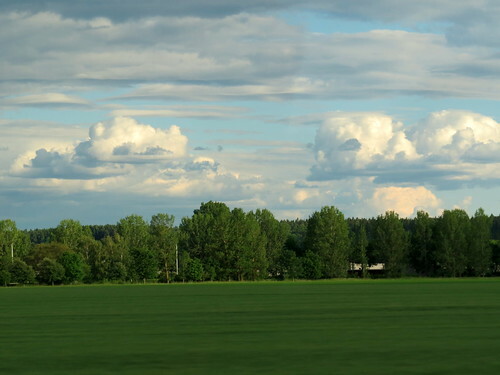 Fleecy clouds, pretty houses and green trees welcomed me: A very witty sculpture of a hoop, with a dog looking askance at it, was at one roundabout (if you look carefully, you can see the small dog.) 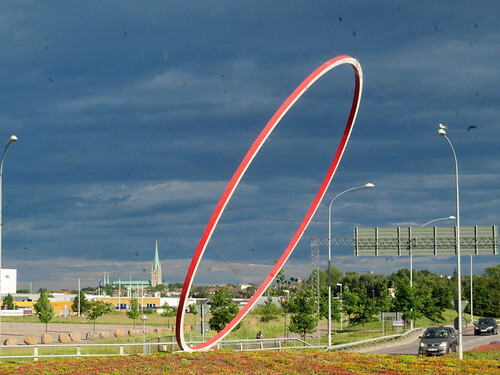 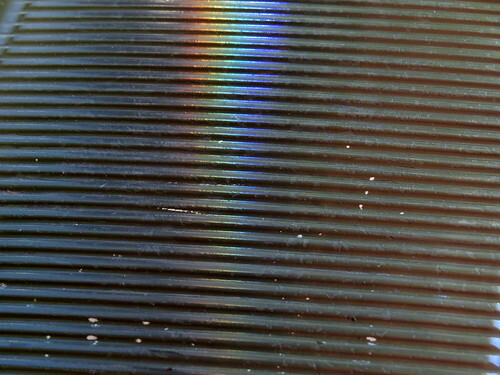 The hoop itself was a marvel of balance! 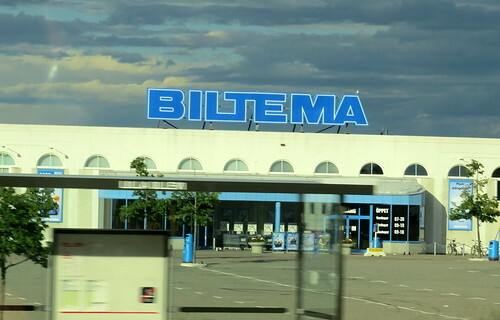 I passed "Biltema", which my cyclist friend tells me is a cycle store: Prashanth just finished the cycling marathon of Sweden...the Vatternrundan, a 300-km ride around Lake Vattern! 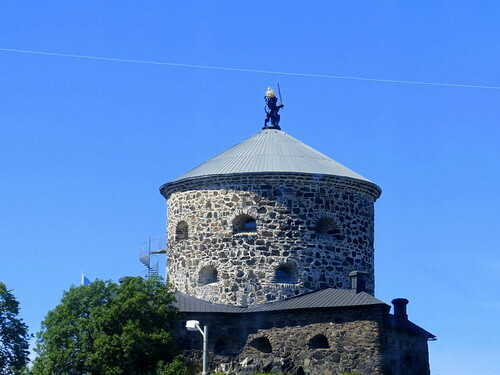 A quick view of the Linkoping Cathedral: I hope to find out what this cigarette-lighter building is: Was this a planetarium or telescope? 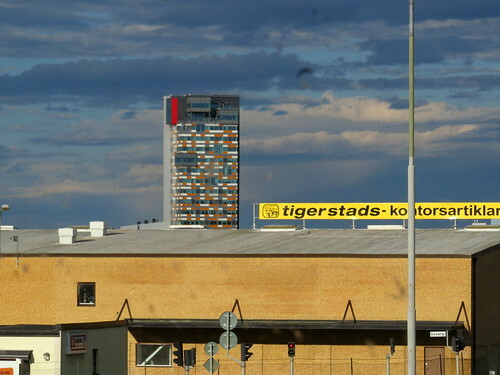 I couldn't tell. 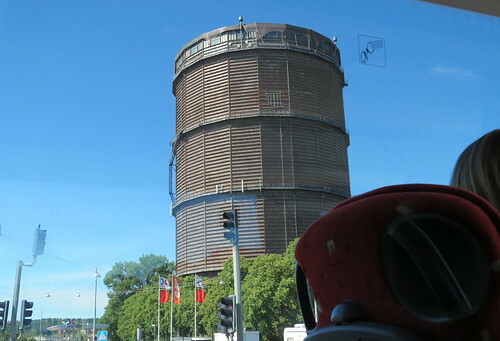 I didn't like these smokestacks quite so much! 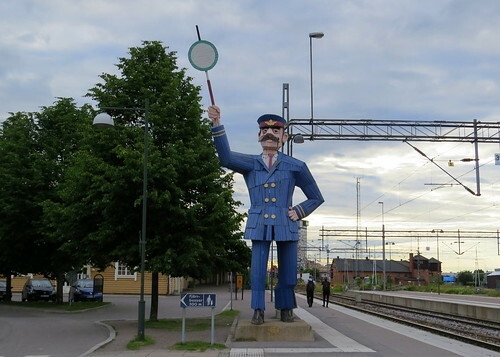 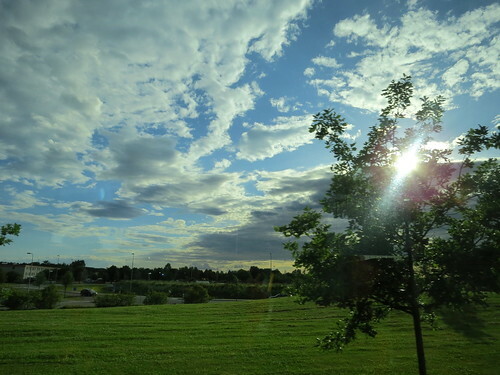 </lj-cut> But at Linkoping Station and Bus Stand, my journey came to an end!